A night of dancing to Jonathan Toubin’s original 60s raw soul 45s interrupted by a short but elaborate dance contest in the middle determined by a collection of local judges, The Clap is also unique because of its flamboyant DJ, its rambunctious aesthetic, and its anomalous audience. Incubating his party in 2007 far removed from the constraints of typical soul subcultures at Williamsburg’s Glasslands Gallery, Toubin and his art/punk audience organically learned together how to play and dance to soul 45s in their own way and in the process developed a new approach to the music in their monthly sessions. By 2008 strangers were discovering The Clap as it developed into a sold out monthly local tradition. By 2009 it was an international party. And through the years of appearances at dozens of major music festivals, Lincoln Center, Madison Square Park, and hundreds of nights in dozens of worldwide markets, the Soul Clap has grown to play to over a thousand revelers monthly at its current residency at Bushwick’s Elsewhere and to headlines large venues everywhere from LA’s Regent and DC’s Howard Theater to Syndey’s Town Hall and Athens’ Stavros Niarchos Park Great Lawn. Last March the party celebrated its 10th Anniversary with a Toubin-curated soul revue featuring Irma Thomas, Archie Bell, David Johansen, John Batiste, King Khan, Joe Bataan Orchestra, Maxine Brown, Young Jessie, Baby Washington, Ural Thomas, and Nick Waterhouse and continues this to feature performances by the likes of Sun Ra Arkestra, Miss Lavelle White, La Luz, and Kool Keith. Jonathan Toubin and Daddy Long Legs befriended one another in the mid-2000s as fixtures on the punk edge of the rapidly gentrifying but fertile Williamsburg/Downtown music scene. 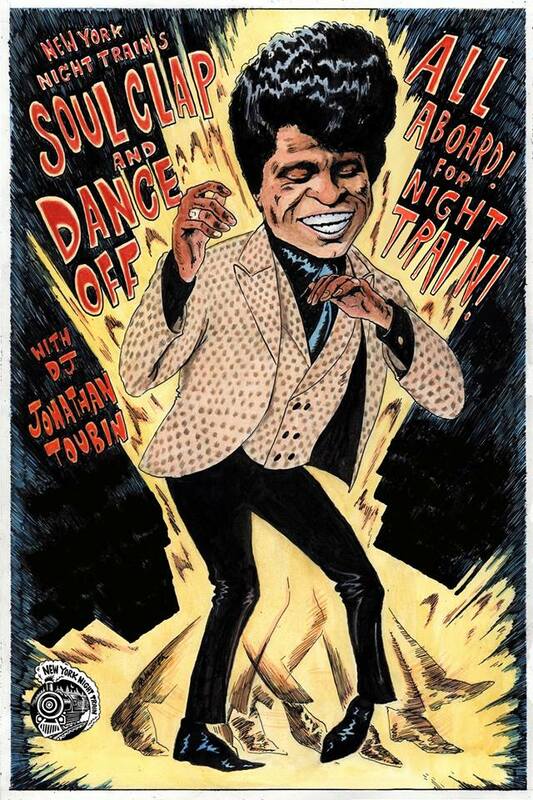 By the end of the decade Toubin was turning his roughest toughest sixties 45s and throwing sweaty New York Night Train underground parties like the Soul Clap and Dance-Off across a spectrum of North Brooklyn art spaces and warehouses. At the same time three members of Electric Shadows and Stalkers joined forces to explore the primal edge of the electric blues as Daddy Long Legs. Both entities employed their punk approach to soul and blues territories respectively to create something new. As escalating rent and cultural blandness sent the majority of their friends and lovers packing for LA, upstate New York, or back home, Toubin and Daddy Long Legs stayed planted in the city they love – consistently working and playing all over town year after year from dusk ‘til dawn to keep the subterranean spirit, wild aesthetic, and raw power of rock and soul alive for a new generation. While the two voraciously touring entities have been co-billed dozens of times in the tri-state area, in Nashville, and at South By Southwest (where The Clap is the annual official closing party), their May/June 2018 European invasion marks the first time they’ve combined forces on a tour. Since Daddy Long Legs’ four full-lengths and Toubin’s five “Souvenirs of the Soul Clap” compilations appeared on the legendary Norton Records, the label’s larger-than-life much-missed co-proprietor Billy Miller initially suggested a Norton caravan featuring both entities. While their king has since departed, his knights, at the peak of their powers from years of relentless globetrotting, get in the van to take the loud sound on the road and give fans a glimpse of how they do their thing back home.